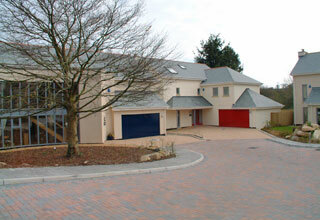 Bespoke, contemporary design, luxury houses situated in Ivybridge, Devon. This site for three up-market houses is in the centre of Ivybridge on the bank of the River Erme and as such was subject to extreme flood prevention measures. There are many trees on the site that needed to be both retained and protected from any future demands for their removal. The design solution that was acceptable to the planners was to incorporate the trees into the design ethos of the houses, with the understanding that this link of home and tree helps the retention of the natural landscape. 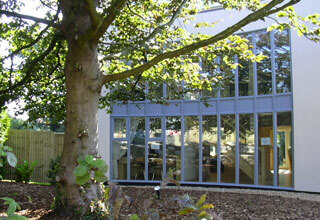 This lead to the semi-circular windows wrapped around the Beech Tree. 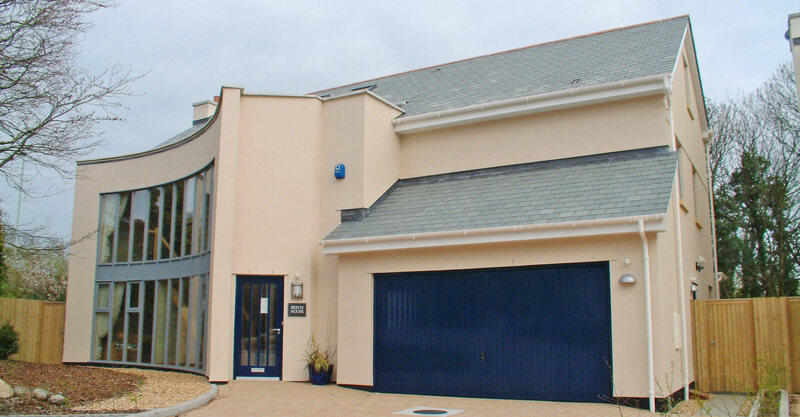 The houses were designed to reflect the type of architecture of mid 19th century Ivybridge but interpreted to meet a more modern ambition of windows providing views, maximising daylight with an efficient energy profile. While larger houses, consideration was given in the design to the demographics of the area and the type of family needs expected. 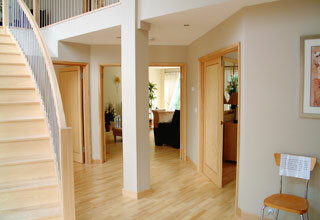 The houses are designed with a live / work option with a study close to the entrances. Some of the houses could also be almost divided to allow for the more adult-children’s private living areas. 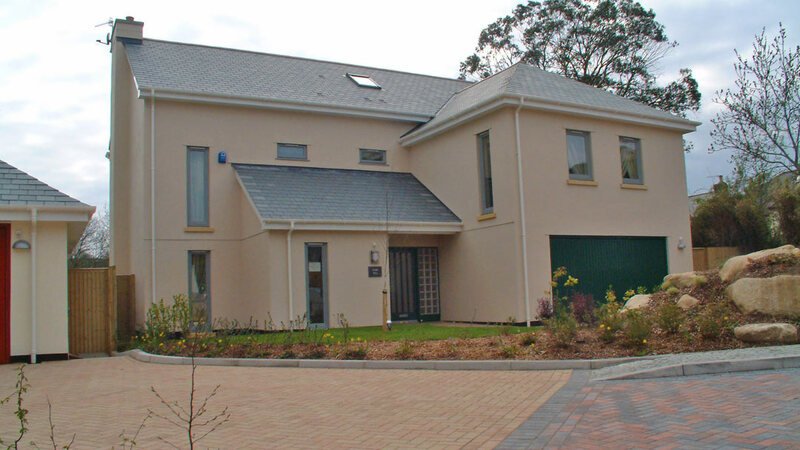 The development has been awarded ‘Best Private Development’ and ‘Best Overall Development’ by the Western Morning News.